I know I’m a week (and a day) late. But I haven’t plowed through all my candy and the Easter Bunny was especially thoughtful this year. 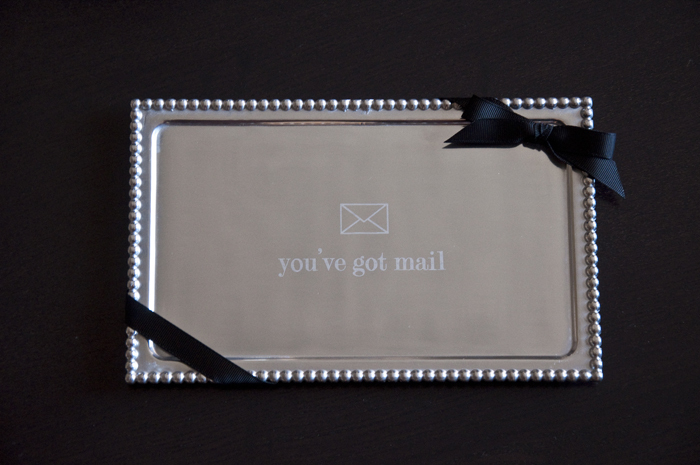 Amid the chocolate bunnies and lip gloss was a silver platter, just for mail. It’s perfect. Our building doesn’t have a mail boxes; all of our letters are dropped on our doormats daily. I usually make it home before my roommate, so I pick up the mail and bring it inside. I sort and toss immediately in a never-ending quest to avoid clutter. 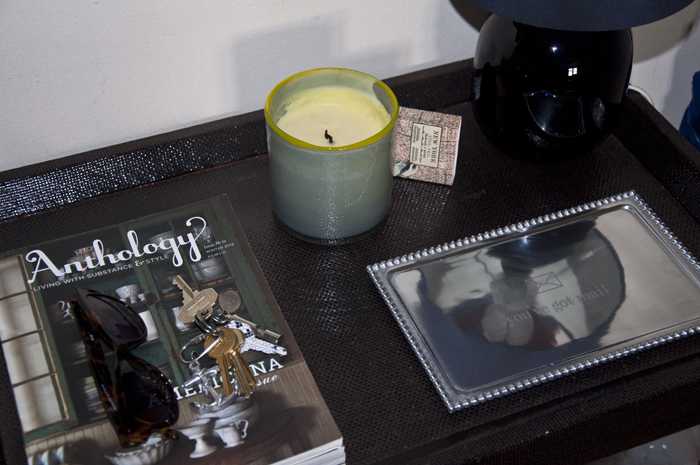 Adam’s mail gets left on the front table. And now it has a proper home! Where do you collect your mail?